Everything you need to know about the news cycle’s biggest story. We get it—the news moves so fast, you don’t always have time to read every article on the biggest story of the moment. From the latest Trumpland implosion to the next #MeToo scandal to the newest twist in the Russia investigation, Rabbit Hole goes a mile deep on the most important issues—all in one place. It won’t always come at the same time or on the same day, but it’ll always come right when you need it. We’ll help you get smart on what everyone is obsessing over, with reporting from The Daily Beast and must-reads from sources our editors trust. Get our best material before everyone else. Every Friday, we’re giving members early access to the Beast’s biggest weekend stories—the juiciest features, the newsiest interviews, and the most captivating long reads. Because we want you to always be one step ahead. Customize your craving for news. The Cheat Sheet newsletter is built to save you time and keep you up to speed on the most important stories. You probably care more about some topics than others. So we’re giving members the opportunity to customize the Cheat Sheet newsletter. Want to switch to an all-politics edition? It’s yours. Epic adventures, real-life mysteries, and more. A members-only series filled with suspense and intrigue. Binge on it every month, preferably with a flashlight under the covers. How do I give a membership as a gift? To learn more about gifting an annual Beast Inside membership, please email us at [email protected]. 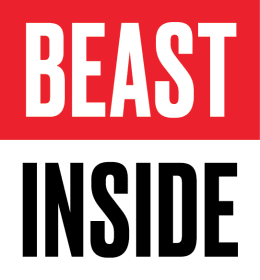 An annual Beast Inside membership costs $100, but Founding Members get a 50% discount for a limited time. I’m not a member of Beast Inside. Can I still sign up for Daily Beast newsletters? Yes, we have several non-member newsletters. You can sign up for those, and manage your subscriptions, here.